While the weather has been unseasonably warm in New England, the Holiday Seasons is definitely upon us again. 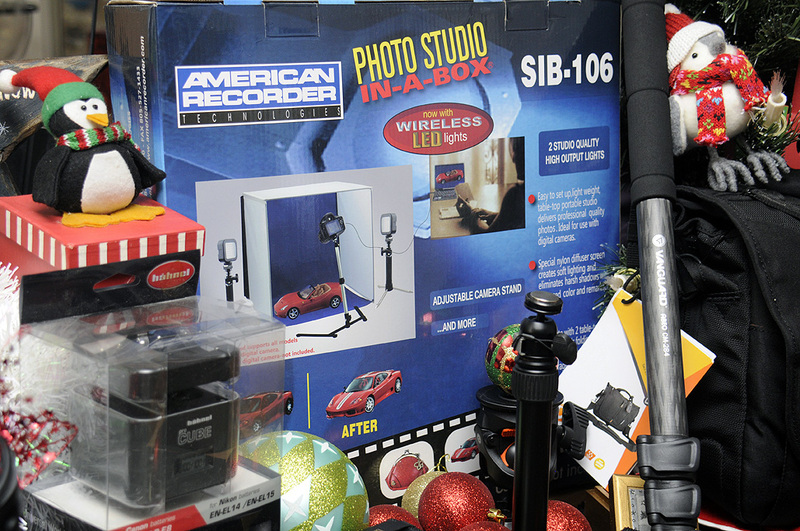 As with years past, we have gather together an awesome collection of gift ideas for our RainyDayMagazine readers. Some of our suggestions are items we have reviewed during the year, others are new but looked too interesting not to pass along, and a few are so good that we continue to recommend them year after year. Of course, the selection criteria for all categories is the same every year: they are either things we have actually used or they are things we would actually want. 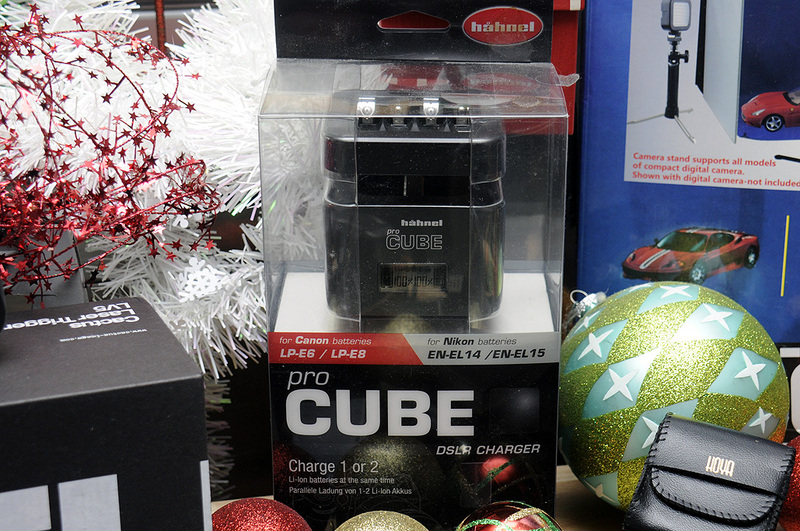 Hahnel makes one of the most well-designed DSLR charger on the market. It’s capable of fully charging 1-2 li-ion batteries in 1-3 hr, depending upon battery model, and four AAs with 2500mAh capacity in about 4 hr. The ProCube can even charge both types simultaneously. Replacement batteries are as good as OEM batteries for digital cameras but tend to be less expensive. However, it is important to make sure they are from reputable makers, mostly because low-quality unit can not only damage the equipment, but can be a fire hazard. We have use replacement unit from both Phottix and Wasabi for years and found them to be reliable, long lasting, and a great value for the money! Anker is the brainchild of a group of friends working at Google and they made it into an industry leader in mobile power. Anker’s PowerIQ™ technology dynamically detects and adapts to the device’s unique charging protocol enabling it to charge at full speed. Developed to appeal to professional photographers and advanced amateurs that appreciate finecraftsmanship, the FUJIFILM X-Series digital cameras combine the highest caliber FUJINON lenses and advanced APS-C X-Trans sensors with the latest EXR image processing technology to deliver amazing image quality. 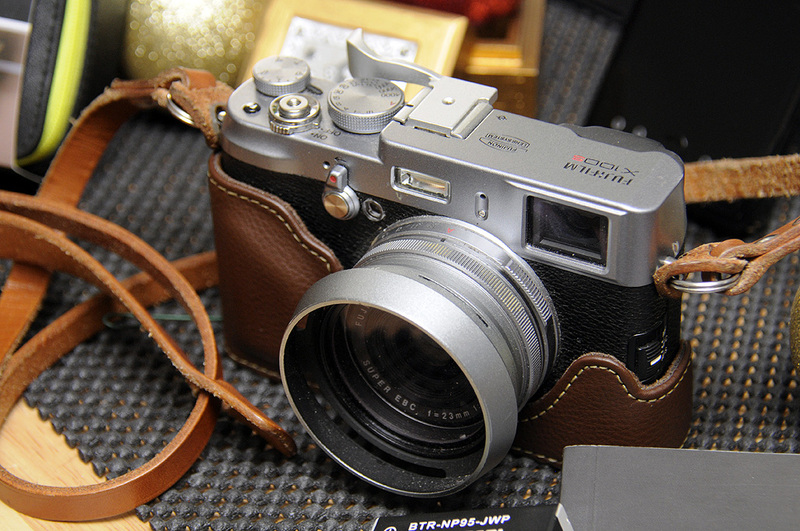 We have had the X100S for a few year and we can say it is definitely our favorite point-and-shoot camera of all time. Even a well-designed camera such as the X100S can use a few add-ons to make it just that little bit better. 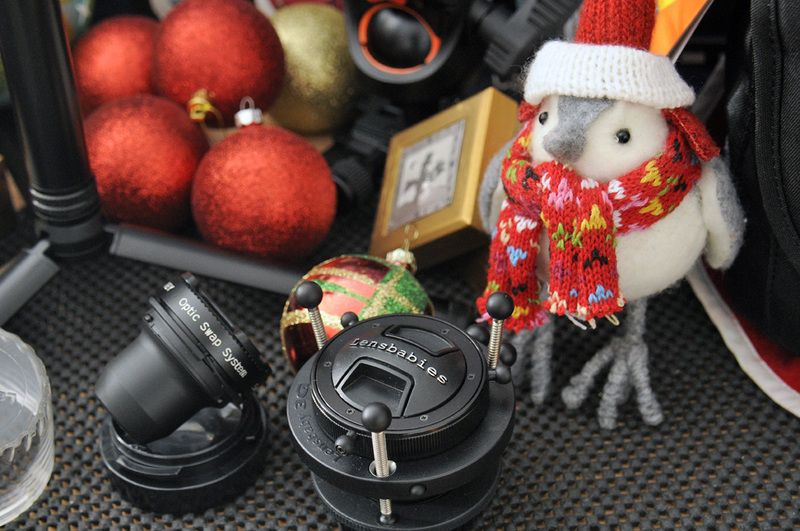 The two accessories which we found to be “must-haves” are the Thumb Grip and Lens Hood/Adapter. 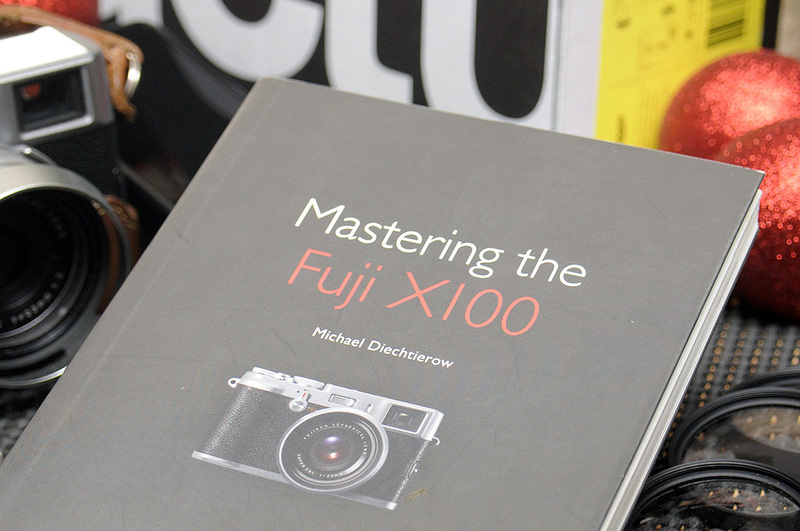 Great stocking stuffers for any X100S owner. HOYA filters are renowned for their ability to minimize reflection at the filter surfaces which reduces flare and ghosting. The result is an average light transmission of over 97%, giving sharp contrast and well balanced color. HOYA HMC filters are recommended for enhancing the performance of today’s multicoated lenses. 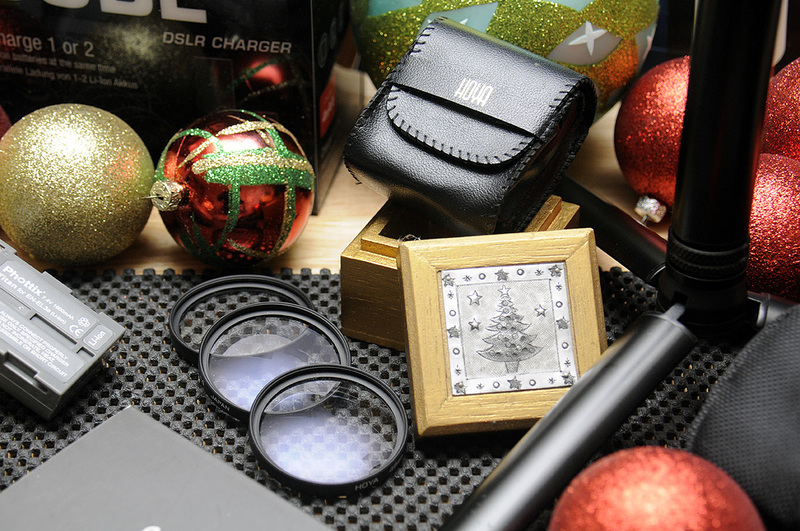 Available in +1, +2, and +4 diopters for close-up photography. Depth-of-field is shallow so use as small an aperture as possible, CLOSE-UPs offer a world of new creativity. Cactus LV5 is a laser trigger that allows you to do high speed photography and wildlife camera traps. Whether you are interested in capturing beautiful water droplets, facial expressions of athletes at the finish line from multiple angles, or wildlife movements caught in the act, the LV5 Laser Trigger can create unforgettable images with ease. Triggertrap Mobile combines the convenience of the smartphone with the power of the SLR camera to enable one to trigger a camera remotely in a host of creative ways. Triggertrap supports over 350 cameras and is suitable for photographers of all skill levels. Triggertrap is the perfect solution for long exposure, timelapse, or high-speed photography. Taking professional-style product and still images used to require expensive lights, oversized diffusion screens, bulky tripods and a dedicated space to set it all up. Not so any more. The PHOTO STUDIO IN A BOX has now gone totally wireless. 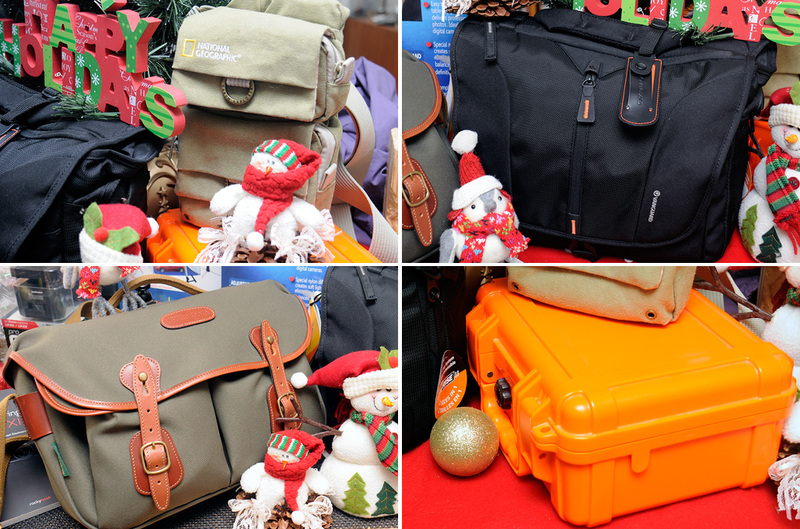 This version features battery operated LED lights for true portability and takes just minutes to set up. 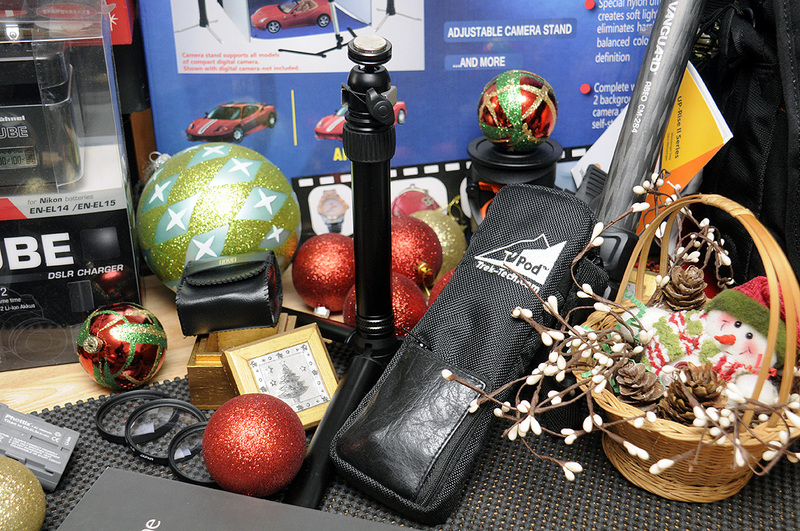 The kit include all the necessary equipment for proper imaging: lights, soft lighting tent, camera stand and background. The Vanguard ABEO CM-284 Carbon Fiber Monopod is a good compromise between the stability of a tripod and shooting handheld. Carbon fiber construction means the CM-284 weigh in at less than a pound. It can be quickly extended to a maximum height of 61″ or retracted to only 20.9″ thanks to the quick flip leg locks. BBH professional ball heads by VANGUARD deliver accuracy, precision, and ease of use, but that’s not all. Their many features include a lightweight open body design, innovative leveling system, and universal 38mm release system. The BBH-300 is one of the best we have ever used. T-Pod™ is a tough, table-top sized tripod that deploys very quickly and packs small into its own carry bag. T-Pod also utilizes Trek-Tech’s innovative MagMount STAR (Square Tooth Anti Rotation), quick release ball head system to easly mount cameras and other devices. The Earth Explorer NG 4475 Sling Bag is designed to comfortably carry everyday personal gear, along with a mirrorless camera and an extra lens. The bag features designated protective zones that safeguard the delicate equipment within. Possibly one of the best crafted camera bag in the world, the Billingham Hadley Pro. We use it for our Fujifilm X100S, but it will easily fits most DSLRs or almost any mirrorless camera with enough room left over for a couple of small to medium sized lenses and accessories. The S3 T5000 is the first case in the S3 line that is customized specifically for the GoPro camera. The GoProfessional Cases and have foam case inserts made specifically for the GoPro camera and its accessories. This case is also used in the cigar market as a travel humidor by Xikar, by Lamotte for holding a handheld water-testing unit and by ES&S to hold an earthquake-monitoring device. S3 is one of the best protective case makers in the US and they back it up with a lifetime guarantee! The Lensbaby is a hybrid between a bellows camera and a tilt-shift camera. The SLR lens can be compressed, extended, and/or bent off-center in any direction for different effect. It will add a unique perspective on the world that is a radical departure from the precision of digital or even film photography. It allows for selective focusing with SLR cameras. Effects like blurring, glowing highlights, and subtle, prismatic color distortions can all be achieved without software manipulations. LimeLens has taken a fresh look at attachable lenses for smartphones and tablets. Inside the case are two lenses (Wide/Macro lens and Supreme Fisheye lens), three LimeClips (will fit over 70 devices), lens cleaners, instructions, and alignment disc. Give a creative tool to allow anyone to capture truly great photos.